You can user Tasker App with M2D Manager in order to do some things in one device and other or the same thing in the other device as well. You have to install Tasker App and m2d manager in both devices. Tasker will do the task while m2d manager will be in charge of the communication between devices. For example you can set a Task in your main device to switch off wifi and switch off wifi in the other device too. In this example we are going to configure a task in the first device with a message that will be shown in the other device when you execute the task, but is valid for all tasker actions. First off all you install m2d manager and setup the bluetooth communication between 2 devices. After that you install tasker in both devices. Now We are going to setup the second device. 1- Create a Task to show an alert with the message. Create a new Task with name "Alert". Insert the data. As you can see only is filled Text field with "%data" (Tasker use % to show vars). Now in order to execute the previous Task we're going to create a new profile that will be activated with an event. 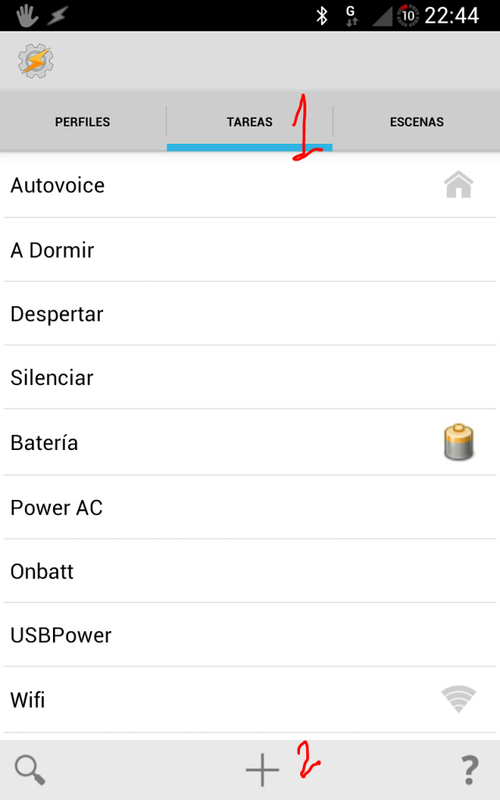 ...continúa leyendo "Using Tasker App with M2D Manager"